At first it was a bit of a surprise that the driver picked me and my fiancee in a mini van. The ride from Bangkok to Ayutthaya was such a breeze as we have lots of rooms in the car. Talking about legroom. 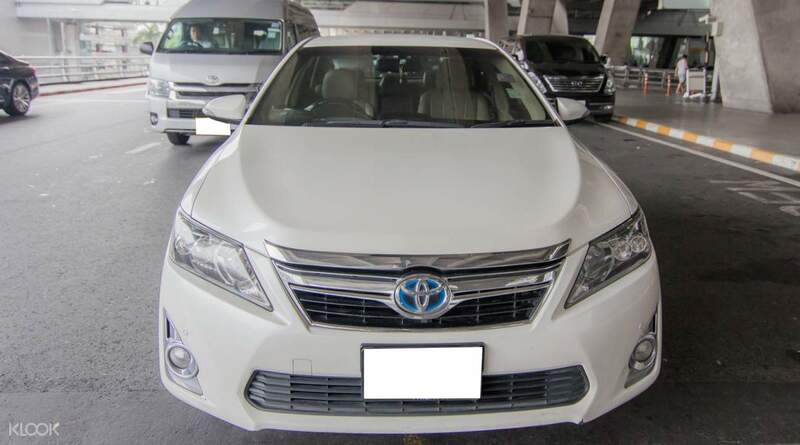 The driver is very friendly, helpful and patient as i requested to go to additional places from the agreed itinerary. We went to Bang Pa in palace, Ayuthaya, nearby floating market and some other temples nearby. Some sites at Bang Pa in was going under construction at the time of our visit. 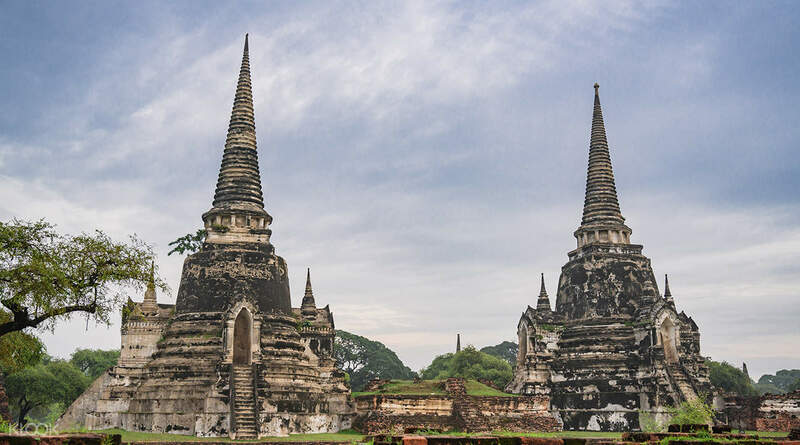 Visit ancient Ayutthaya or the city of Bangkok for the perfect day trip with a full day private car hire. 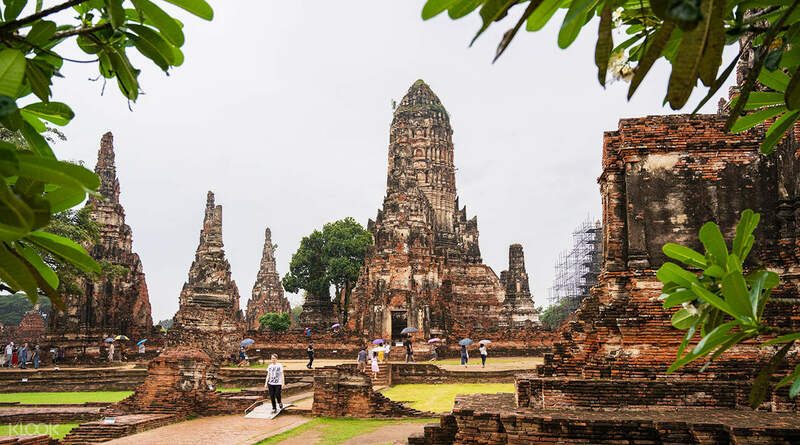 Not only is this the easiest way to get between Bangkok and Ayutthaya or vice versa, but you'll also get convenient transport and optional guide services. 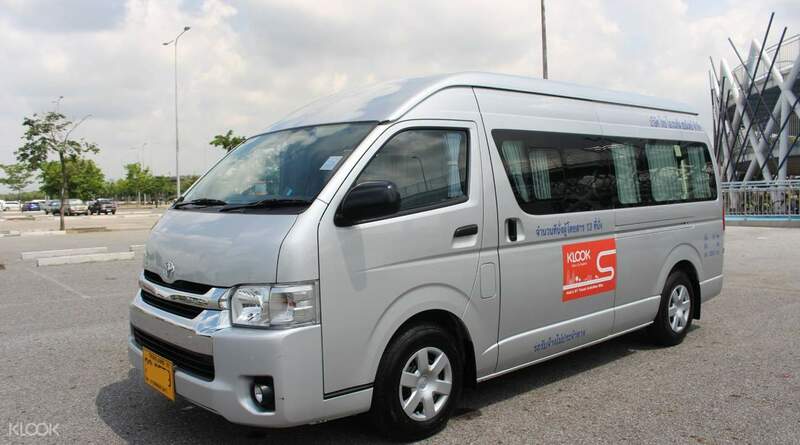 After an easy hotel pick up, you'll make the 1.5-2 hour journey from Bangkok to Ayutthaya or Ayutthaya to Bangkok in a choice of a 10 seater mini van or a 3 seater sedan. Discover these cities on your own schedule or with the guidance of an English speaking guide. 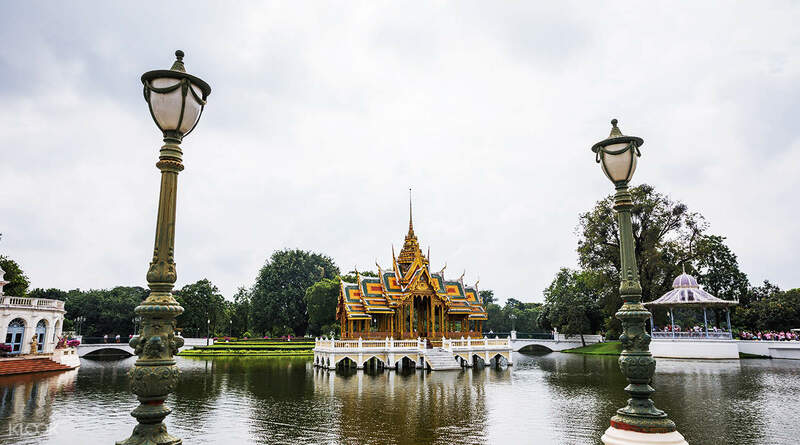 See the famed Buddha head entwined in tree roots at Wat Mahathat, gorgeous Wat Chaiwatthanaram, reminiscent of Siem Reap's Angkor Wat, the enormous 43 meter reclining buddha at Wat Lokaya Sutha, and many more, or just chill in Bangkok's many shops or try out the local food. Hop out to enjoy a river boat ride or browse for local snacks at the market. Make the most of your day with the flexibility and convenience of a private car charter. Regardless of where you want to go, your driver will be professional, polite, and punctual. The private charter is perfect for larger groups, especially for families, as it lets you see more in a day with the utmost ease. The driver is friendly. The car is clean. The driver come on time. The driver provided unlimited cold mineral water in the car for us. And the driver give us some ideas and direction when we reach the attraction...! Prefect service..! The driver is friendly. The car is clean. The driver come on time. The driver provided unlimited cold mineral water in the car for us. And the driver give us some ideas and direction when we reach the attraction...! Prefect service..! Our driver, Mr. Jay, may not speak much English but he puts great effort on making sure that our trip to Ayutthaya is as comfortable and as great as possible. He arrived at our apartment 30 minutes earlier than the scheduled time and waited for us patiently, He even went out of his way to open each of our doors every time we arrive at out next destination. The car was spacious, for the three of us, and was also clean kept cold which was important especially after exploring temples under the blazing heat. We would definitely book this trip again! Our driver, Mr. Jay, may not speak much English but he puts great effort on making sure that our trip to Ayutthaya is as comfortable and as great as possible. He arrived at our apartment 30 minutes earlier than the scheduled time and waited for us patiently, He even went out of his way to open each of our doors every time we arrive at out next destination. The car was spacious, for the three of us, and was also clean kept cold which was important especially after exploring temples under the blazing heat. We would definitely book this trip again! It was the best Thailand trip that my Wife and I ever had. The reason is because, our friends told us that that place is quite boring. But well, I beg to differ. Mr Jeab was our driver and Mr Naret was our guide. Naret planned the itinerary for us after hearing our suggestion. He brought us to affordable nice restaurant where they serve really nice pad Thai. Jeab is like our special agent driver. His driving skill is really good and most importantly he is very safe. He make sure that we won’t wait long for him to fetch us. Hope in future, we will get Mr Jeab and Mr Naret once again. It was the best Thailand trip that my Wife and I ever had. The reason is because, our friends told us that that place is quite boring. But well, I beg to differ. Mr Jeab was our driver and Mr Naret was our guide. Naret planned the itinerary for us after hearing our suggestion. He brought us to affordable nice restaurant where they serve really nice pad Thai. Jeab is like our special agent driver. His driving skill is really good and most importantly he is very safe. He make sure that we won’t wait long for him to fetch us. Hope in future, we will get Mr Jeab and Mr Naret once again. We booked a 12 seater van for 6 pax. comfortable ride. the driver arrived early at our hotel. we can discuss where we want like to go with him. we departed bangkok at 7am without traffic jam and started the tour early when the sun was still not too strong. a very comfortable way to experience the old city! We booked a 12 seater van for 6 pax. comfortable ride. the driver arrived early at our hotel. we can discuss where we want like to go with him. we departed bangkok at 7am without traffic jam and started the tour early when the sun was still not too strong. a very comfortable way to experience the old city! Very delighted to have booked this private trip to Ayutthaya. The island is definitely worthwhile the 1.5 hr drive out of Bangkok. JENNY, our guide, was very detailed in introducing to us the history and culture about the dynasties and temples we visited. Our driver Kitti is very nice, too. We have two kids traveling with us, one of them is 3 years old so this private vehicle arrangement has made things a lot easier for us. There is one thing I strongly suggest though. It has nothing to do with the guide and driver as they did very good job. This suggestion goes to the company/ operation, please send out emails to inform of driver/ car/ guide details earlier. Any message would do even just a confirmation to say info will follow and to be sent out on the day (I booked to start the trip at 8:30AM and literally receive driver info st 5AM in the morning after several contacts with Klook through different means. This could get people panic to be honest.) We did Ba-In Sumner palace, Ayutthaya floating market, Buddha in the tree, reclining Buddha, Wah Phra Sri Sanphet (a UNESCO) . All good except the floating market. No merchants on the water (in the boat), all onshore as this whole “village” is man-made. If you are looking for authentic floating market experience this is not your destination. I regret we spent 200thb per person (kids over 90 or 100cm have to pay full price as well) and mort importantly the time there. 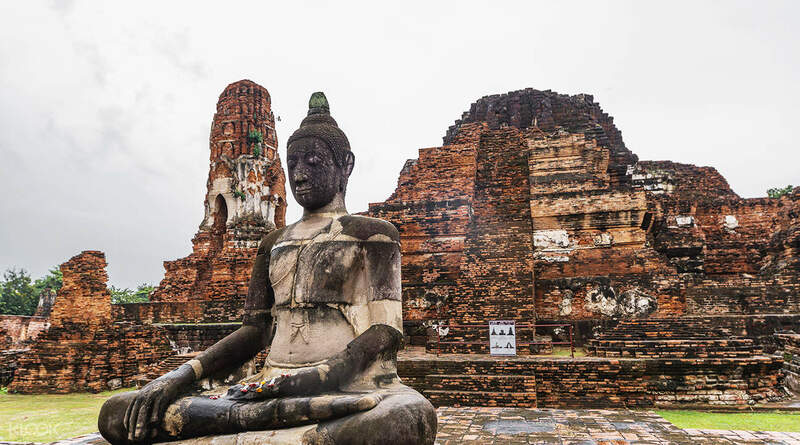 Overall Ayutthaya is a good day trip destination if you like to know more of Thai history. Very delighted to have booked this private trip to Ayutthaya. The island is definitely worthwhile the 1.5 hr drive out of Bangkok. JENNY, our guide, was very detailed in introducing to us the history and culture about the dynasties and temples we visited. Our driver Kitti is very nice, too. We have two kids traveling with us, one of them is 3 years old so this private vehicle arrangement has made things a lot easier for us. There is one thing I strongly suggest though. It has nothing to do with the guide and driver as they did very good job. This suggestion goes to the company/ operation, please send out emails to inform of driver/ car/ guide details earlier. Any message would do even just a confirmation to say info will follow and to be sent out on the day (I booked to start the trip at 8:30AM and literally receive driver info st 5AM in the morning after several contacts with Klook through different means. This could get people panic to be honest.) We did Ba-In Sumner palace, Ayutthaya floating market, Buddha in the tree, reclining Buddha, Wah Phra Sri Sanphet (a UNESCO) . All good except the floating market. No merchants on the water (in the boat), all onshore as this whole “village” is man-made. If you are looking for authentic floating market experience this is not your destination. I regret we spent 200thb per person (kids over 90 or 100cm have to pay full price as well) and mort importantly the time there. Overall Ayutthaya is a good day trip destination if you like to know more of Thai history. K Meng was our guide for the day. He was punctually at the hotel lobby for the pickup. He has a cheerful personality (mayb slightly introverted). When I discovered my camera sdcard was not working, he helpfully rerouted to mall to let me purchase a replacement. He has good knowledge on the layout of ayutthaya & it's history. He readily explained the sights on our way to the each next destination & answered any questions we had. He also was able to re-plan our itinerary on the fly when we had a specific request to view an out-of-the-way Wat. Highly recommend this tour for flexibility & comfort. K Meng was our guide for the day. He was punctually at the hotel lobby for the pickup. He has a cheerful personality (mayb slightly introverted). When I discovered my camera sdcard was not working, he helpfully rerouted to mall to let me purchase a replacement. He has good knowledge on the layout of ayutthaya & it's history. He readily explained the sights on our way to the each next destination & answered any questions we had. He also was able to re-plan our itinerary on the fly when we had a specific request to view an out-of-the-way Wat. Highly recommend this tour for flexibility & comfort. We were slightly worried that the driver might not turn up as we did not receive any more information about this activity after the time of booking, which was months ago. We wished that we could be provided with the car license plate or driver’s name the day before the activity. Thankfully, the driver was reliable and met us on time. He was very kind and accommodating throughout the day and even offered us multiple bottles of cold water and cold towels on a sweltering hot day at Ayutthaya. I cannot imagine a better way to see Ayutthaya than a private car like this one. Price is extremely reasonable as well, only a couple of bucks more than all the other group tours I have researched but you get to decide the temples you want to visit and even where you plan to eat your lunch. Would highly recommend this to anyone planning on visiting Ayutthaya! We were slightly worried that the driver might not turn up as we did not receive any more information about this activity after the time of booking, which was months ago. We wished that we could be provided with the car license plate or driver’s name the day before the activity. Thankfully, the driver was reliable and met us on time. He was very kind and accommodating throughout the day and even offered us multiple bottles of cold water and cold towels on a sweltering hot day at Ayutthaya. I cannot imagine a better way to see Ayutthaya than a private car like this one. Price is extremely reasonable as well, only a couple of bucks more than all the other group tours I have researched but you get to decide the temples you want to visit and even where you plan to eat your lunch. Would highly recommend this to anyone planning on visiting Ayutthaya! Driver was very kind. He made the itinerary and drove us to all the good places. Going back was bad because of the traffic but it was all okay. Driver was very kind. He made the itinerary and drove us to all the good places. Going back was bad because of the traffic but it was all okay. The driver was great! We were able to tour around at our own pace. Then can provided was spacious and clean. Highly recommend this! The driver was great! We were able to tour around at our own pace. Then can provided was spacious and clean. Highly recommend this! Pick up was 40minutes earlier than scheduled departure so we had to rush. We were allowed to bring in food to the van to eat during the drive to Ayutthaya. At first the itinerary wasn’t followed by Mr. Dome he brought us to the Bang-in Palace which wasn’t on the itinerary. We were not aware that leggings weren’t allowed in that area to. He already saw what we were wearing when we met him during pick up but didn’t inform that it wasn’t allowed. We were forced to buy skirts 100baht each just to enter a place we didn’t even plan to visit. But after telling him we wanted to follow the itinerary he obliged. Although not all were visited because what we wanted “weren’t important” sites. But overall it was a good experience. Pick up was 40minutes earlier than scheduled departure so we had to rush. We were allowed to bring in food to the van to eat during the drive to Ayutthaya. At first the itinerary wasn’t followed by Mr. Dome he brought us to the Bang-in Palace which wasn’t on the itinerary. We were not aware that leggings weren’t allowed in that area to. He already saw what we were wearing when we met him during pick up but didn’t inform that it wasn’t allowed. We were forced to buy skirts 100baht each just to enter a place we didn’t even plan to visit. But after telling him we wanted to follow the itinerary he obliged. Although not all were visited because what we wanted “weren’t important” sites. But overall it was a good experience. Q: Are toll fees and parking fees included in the package? Can the driver speak English or Chinese?